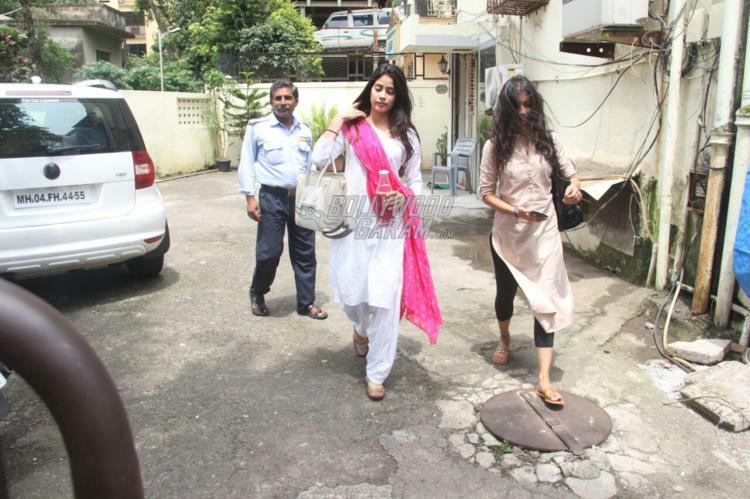 Jhanvi Kapoor looks gorgeous post dance rehearsals! 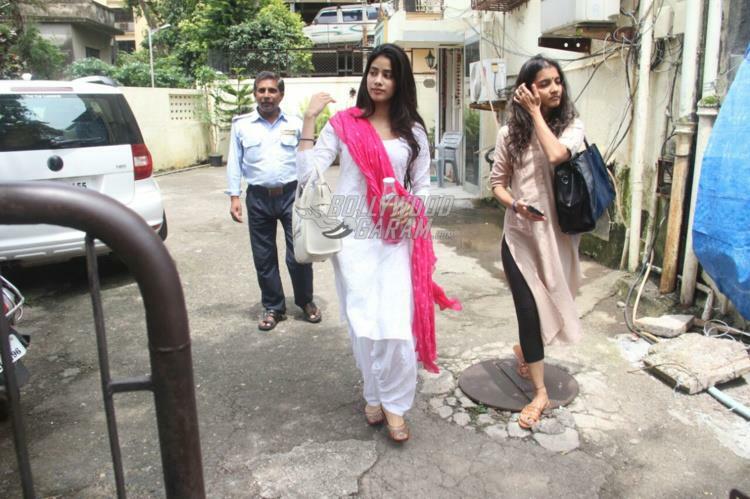 Jhanvi Kapoor is the upcoming fresh face of Bollywood. Veteran actress Sridevi’s daughter was snapped post her dance rehearsal sessions at a studio in Mumbai on September 19, 2017. 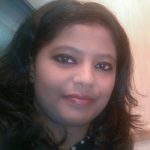 Jhanvi is these days preparing for her upcoming Bollywood debut. 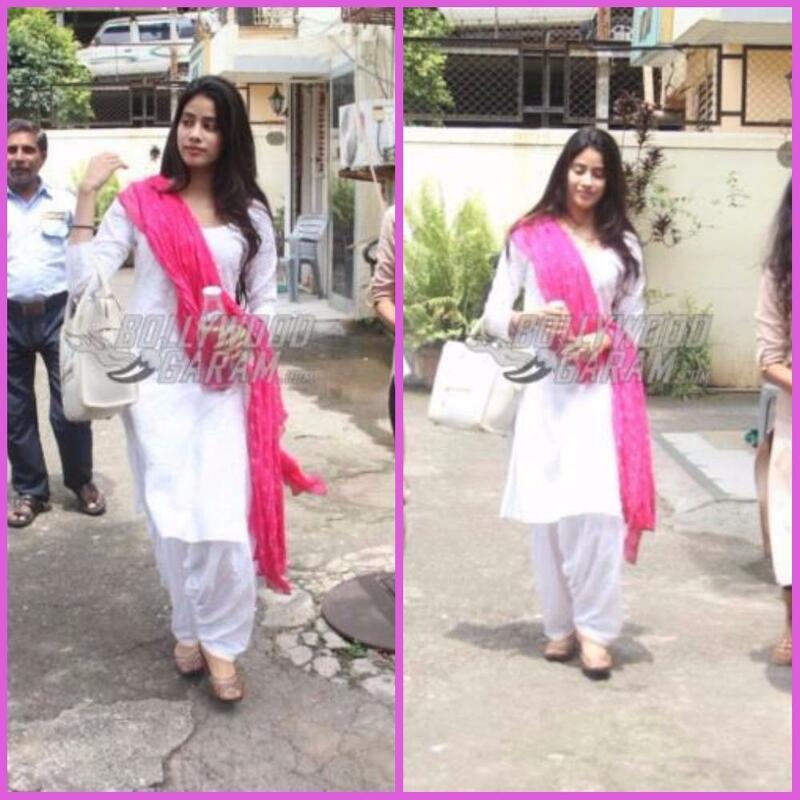 The star kid looked homely in a white salwar and kurta with a pink dupatta as she stepped out of the studio. 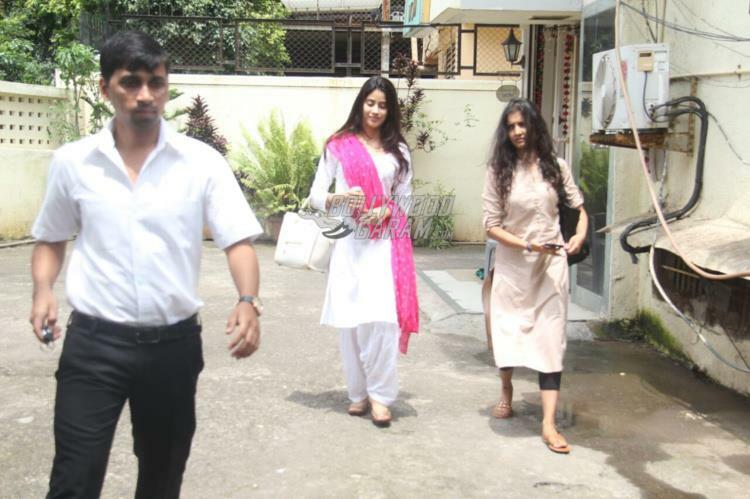 Jhanvi made sure that she smiled for the cameras who were waiting to catch a glimpse of her. Reports say that Jhanvi is ready to make her Bollywood debut with the Hindi remake of the Marathi blockbuster film Sairat opposite Shahid Kapoor’s younger brother Ishaan Khatter. The upcoming actress is expected to begin the shoot of the film from November 2017. Filmmaker Karan Johar has bought the remake rights of the Marathi film that will be produced under his banner Dharma Productions. Jhanvi recently returned from a trip to Dubai and was snapped with sister Khushi at the airport.